Cash For Mobile is a mobile phone recycling company aimed at giving its customers the best deals possible for their unwanted and old mobile phones. 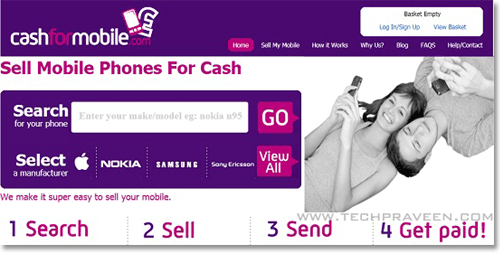 You can get some extra cash for mobile phones. These phones are recycled to preserve environment from pollution. For a greener environment, mobile phone recycling is a must. 🙂 Start thinking about leaving behind a better environment for our children. Old phones are refurbished and shipped to developing countries and reused. Old phones are used to make new ones – benefitting the environment by eliminating the need for new parts manufacture. Mobile phones recycling will help reduce the amount of waist going into landfill but will also decrease your carbon footprint. Send your mobile phone free of charge.